In January I had the pleasure of being interviewed by Lucy Butler Digital for her new Creative Conversations podcast and the finished edit is now available to listen to on her website! Recorded in Tandem Coffee House in Stockport, we chatted about what goes into making a good website, the joy of collaborating with good people and what I love about running my small web design business. You can find the full episode along with the rest of the series (including an interview with my BeerStork collaborator Creative Wilderness) on the Creative Conversations website. Lucy was a fantastic professional and I can only heap praise on her for making me sound like I might actually know what I’m talking about (I always suspected as much but now I have proof)! You can stay updated on the rest of the Creative Conversations episodes as they get released by following Lucy on Twitter and Instagram. 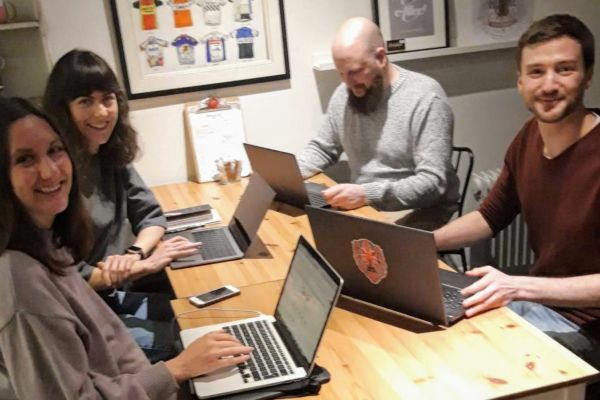 In case you’re interested, I still have a few spaces left on my Beginners Guide to WordPress SEO workshop taking place at Tandem Coffee House on Wednesday 20th February. If you’d like to learn some non-technical tricks for using your website more effectively you find out more on my Workshops page. Continuing my fun new hobby of talking about myself, this Wednesday 13th February I’ll be speaking to young entrepreneurs at Yena Manchester. You can register for free tickets over on EventBrite. As ever, if you’d like to talk to me about anything mentioned in this blog please feel free to say hello. You can also find me on Twitter, Instagram and for reasons I don’t yet understand Linkedin! Have a good week folks!